Alongside the Nokia Lumia 920 and 820, there’s another Lumia on the horizon and it’s expected catch everyone’s eyes, but in a different way. It’s the Lumia 510 and it’s not another Windows 8 phone, neither is it another 41 megapixel camera phone and best of all it won’t rip a hole in your wallet. 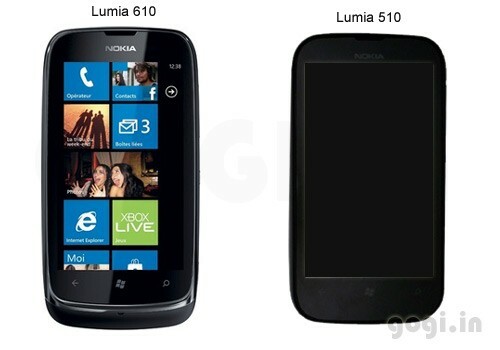 The 510 will be the cheapest of the Lumia line and the cheapest Windows smartphone on the market. This was a smart move by Nokia. The Lumia 920 and 820 made everyone pause for a second at the specifications and features it offered, and of course the price tag. The Lumia 510 on the other hand has a very reasonable price of $199. Very inexpensive for a good smartphone, indeed. The Nokia Lumia 510 has a 4.0 inch TFT capacitive touchscreen display with a resolution of 480×800, 4GB of internal storage and sadly no external memory slot. It has a 5 MP rear-camera with a physical shutter button (which is always great). 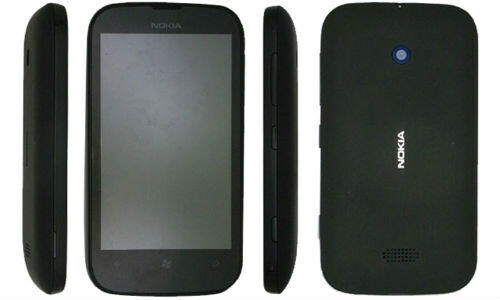 At Nokia Lumia 510 will be coming with 4.0 inch TFT capacitive touch screen display at 480 x 800 pixels, 4 GB internal storage with no external memory slot and 5 MP rear-facing camera with physical shutter button. Measuring at 120.7 x 64.9 x 11.5 mm, it weighs 129 g (4.55 oz). The phone will run on the 800 MHz Snapdragon S1 processor with 256 MB RAM, and comes with Microsoft Windows Phone 7.5 (Mango) platform which is somewhere in between Windows Phone 7 and 8. Unfortunately it’s NOT upgradable to Windows Phone 8. Though, for its price it’s got quite the bang. The Lumia 510 will come Nokia Maps, Drive and Transport for a complete navigation and location package. The phone also features Windows Phone Live Tiles, Microsoft Office, Internet Explorer 9, People Hub, etc. To add a little cherry on top, users will get 7GB of Skydrive Storage – this is after all the age of ‘cloud computing’. 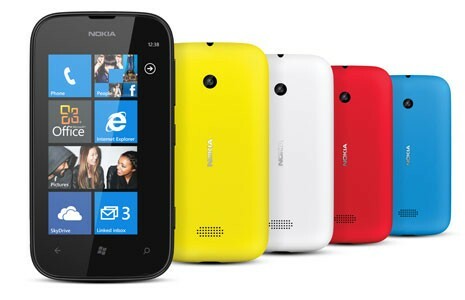 The phone is offered in a variety of colors: white, black, cyan, red and yellow. Some of you may be thinking that you’ve already seen a very similar phone. You probably have! It’s a lot like the Lumia 610 which was released in February; same resolution and camera but the display was 3.5 inches with 8GB internal storage but priced at a more expensive $250. It’s clear that Nokia still believes in the price game and they’re trying to bring down the price of Windows based phones to reach out to more consumers. Nokia has not been in the best of shapes recently and their investment in the Windows platform is both a big gamble and possibly their only hope to rise back into the mobile market. All in all, this would be a nice buy for anyone who wants to dip a toe in the world of Windows Phone – keep in mind though, you only get Windows Phone 7.5 with the Nokia Lumia 510. Nevertheless, it is very much clear that Nokia still believes in price game and they are planning to bring down the price of Windows Phone based smartphones. With Lumia 920 and Lumia 820 buckled up to go for sale in the next month, Lumia 510 will not lack behind. It is planned to go out on sale in India and China first, then to Asia-Pacific and South American countries. Hopefully, this is indeed good news for the Windows Phone lovers and also within the budget limit. Alavi, Executive Editor of Techetron, is your average speckle faced guy with a huge appetite for food and an even greater craving for tech. He is always keeping an eye out for the latest and greatest in the world of technology and is on a constant prowl for the ultimate mobile device. He loves writing, reading tech blogs, playing golf and customizing his gadgets. Very informative post you have just shared. Well it is very important to anyone to have a quality phone with affordable price. Thank you very much and yes when it comes to cellphones one should think about the quality and the features a phone is providing compared to its price. Smartphone markets have gone super-competitive now so there are many options available to choose from. Now its up to the users, based on their budget and the features they are looking for they can end up getting the perfect phone at their budgeted price. The review is quite nice and informative.I liked the whole post.Thanks for the post.